Similar to the 1992's Greatest Hits collection this compilation included the 1986 remake of 'Don't Stand So Close To Me', and a 1995 'New Classic Rock Mix' of 'Message in a Bottle'. The Police are one of the best rock bands of all time, and one of my own personal favorites. Listening to a greatest hits compilation of their songs invariably takes you back to different times in your life as all great music does. Listening to 'Every Breath You Take' encoded in DTS 5.1 Digital Surround is like experiencing each of these songs for the first time. The songs are all familiar, but the perspective is entirely new. The clarity is stunning. Instruments and textures in the music that were previously buried in the 2 channel mix are opened up and move all around the room. After listening to this release my only wish is to hear the entire Police library re-purposed for DTS 5.1 Surround! David Tickle, who also did the 5.1 mix for Sting's 'Ten Summoner's Tales', mixed the tracks for this compilation. The overall perspective of this mix is very similar in style with what Tickle did with 'Ten Summoner's Tales'. The surrounds are enveloping and expansive, without going so far as placing single instruments or vocals only in the surrounds. The result is a tasteful 5.1 mix that surrounds the listener 360? with strings and percussion in the surrounds. Sidewall imaging is terrific, and the soundstage is deep and wide with a terrific sense of space and air on vocals and instruments. The overall fidelity is amazing, clearly delineating every instrument, each of which is localized precisely in three-dimensional space. The hits on this disc are compiled in order of release, starting with the classics 'Roxanne', 'Can't Stand Losing You', 'Message in a Bottle' and 'Walking on the Moon'. These are simpler arrangements musically, lacking the synthesizers and more complex instrumentation employed by the band in later releases. The mixes here reflect the simplicity of the trio's early efforts. Bass is crisp and defined, and the sound is amazingly open, imaging very wide laterally in the front. It sounds like the drum kit is right in the room with you, with the bass drum pounding and the cymbals crashing. But the surrounds are used very subtly, offering very little in the way of primary information. The mix opens up a bit with 'Walking on the Moon', with percussion and guitars floating into the surrounds and livening up the room. With 'Don't Stand So Close To Me' things really start to get exciting as the synthesizers and overall composition becomes more complex. Some of the backing vocals start to wrap around the listener while the overall width and depth of the imaging up front maintains its grandeur. I'm going to pretend 'De Do Do Do, De Da Da Da' doesn't exist. This updated version of the original is the musical equivalent of the colorization of black and white movies. How I feel about this disc should be pretty obvious by now, but here's some additional clarification in anecdotal form. I was given an advance copy of 'Every Breath You Take' at CES. I got home from CES at 11:30pm on a Tuesday night. In was tired, but I couldn't wait to hear more of this release so I decided to take a quick listen to 'Every Little Thing She Does is Magic'. I sat down to listen and didn't get up until the rest of the disc was finished, well past midnight. The high hat cymbal that opens this track and anchors the song starts in the left surround, and moves through the left side of the room before settling into a permanent home in left front. The densely overlaid guitar and keyboard tracks of this song are clearly rendered revealing sonic details I'd never heard from this song before. Primary information such as keyboards, percussion and even some vocals are in the surrounds here, making for a very subjective and involving experience for the listener. This is what high definition multi-channel music is all about! The other two tracks from 'Ghost in the Machine' (my favorite Police album) 'Invisible Sun' and 'Spirits in the Material World' continue with more aggressive surrounds. With 'Invisible Sun' the cymbal crashes and forceful percussion of Stewart Copeland drives the song punctuates its somber message of oppression effectively. 'Spirits in the Material World' offers a synthesizer track that fills the room and a very full and tuneful and tightly pitched bass presence. 'Every Breath You Take' is little more subtle with the mix, but again the clarity is astonishing. Every time Andy Summers' hand slides along the guitar strings the sound floats through the soundstage. The keyboard backing the song tinkles away, but is always resolved and backing vocals from the surrounds are evident in a way they aren't in the original 2 channel mix of this hit. Interestingly, the mellower 'King of Pain' and 'Wrapped Around Your Finger' are two of the most aggressive and innovative mixes on the disc. Guitars, vocals and keyboards all pour from the surrounds, especially in the choruses. The mixes are wonderfully balanced and coherent. This is one of the best DTS 5.1 releases I've heard yet, if not the very best. Obviously it helps a lot that The Police are one of my very favorite bands. Nevertheless, this is the kind of release that seriously whets one's appetite for multichannel music. 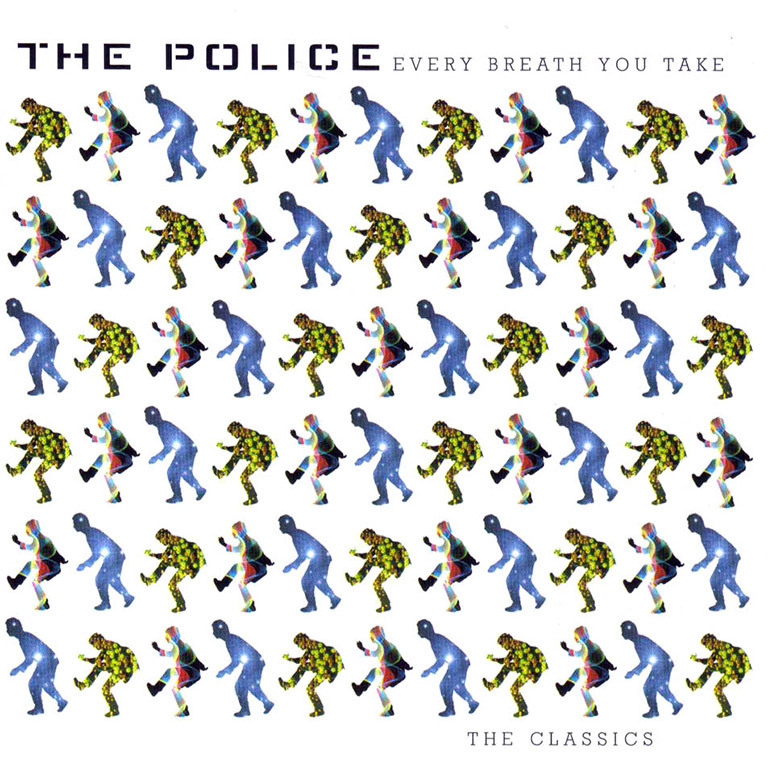 You cannot listen to this disc without thinking about how great the rest of the Police's library, or one of your favorite band's library, will sound in 5.1 surround. This disc is a clear glimpse at how exciting the future of multi channel music is going to be.